Biotin is a form of vitamin B, present in many foods and available as a supplement. Biotin is sold under many names, including Appearex, vitamin B7, vitamin H, biotina, biotine, and coenzyme R.
Can Biotin Make my Hair Grow Faster? Yes, Biotin helps the hair grow faster for those with low biotin levels in the body. 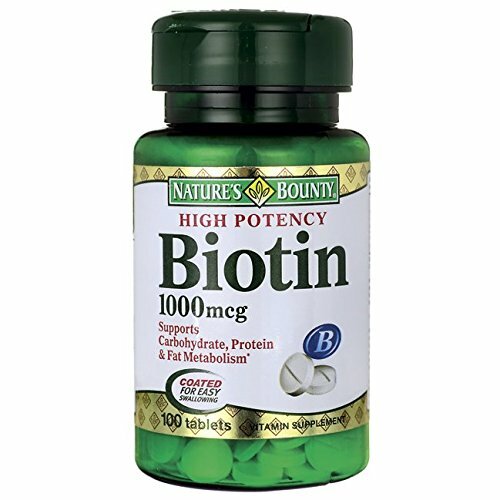 For those hoping to grow their hair longer, faster, biotin has served as a vitamin supplement used in the quest for maximized hair growth. Biotin is a B-complex vitamin that can be found in both supplement and food form. Therefore, consuming foods that contain biotin helps to contribute to hair growth. Symptoms of biotin deficiency include hair loss, dry skin, a scaly rash around the eyes or mouth, dry eyes, fatigue, and depression. Many people take biotin supplements in hopes of treating hair loss, cradle cap in infants, and brittle nails. Which Foods Are Rich in Biotin? How Much Biotin Should I Take a Day? Common preparations of biotin in tablet form are 10 micrograms (mcg), 50 mcg, and 100 mcg. There’s no recommended dietary intake (RDI) for biotin, only suggested adequate intake levels.